The transatlantic slave trade spread people from a vast region of Atlantic Africa throughout the Americas. The trade also redistributed political and military power. Upon captivity, people who had been administrative or military leaders suddenly found themselves uprooted from sustaining landscapes, scattered by currents and trade winds, and replanted in strange territories where they struggled to rebuild their social connections and recover their influence. Inevitably, some determined that only war could rectify their dishonor. More than highlighting resistance or the agency of the dispossessed, the Jamaican Coromantee War of 1760-1761 shows how the turmoil of enslavement, which ruptured systems of social authority and cultural continuity, figured the development of enslaved militancy as it originated, traveled, took root, and germinated in far-flung contexts. ‌Vincent Brown is the Charles Warren Professor of History, Professor of African and African American Studies, and the Founding Director of the History Design Studio at Harvard University. He is an award-winning author and multi-media historian with a keen interest in the political implications of cultural practice in the African Diaspora, particularly the early modern Atlantic world. 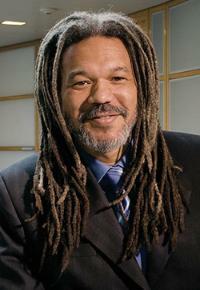 He is Principal Investigator and Curator for the animated thematic map Slave Revolt in Jamaica, 1760-1761: A Cartographic Narrative (2013), and he was Producer and Director of Research for the television documentary Herskovits at the Heart of Blackness (2009), recipient of the 2009 John E. O’Connor Film Award of the American Historical Association; it was awarded Best Documentary at both the 2009 Hollywood Black Film Festival and the 2009 Martha’s Vineyard African-American Film Festival, and broadcast nationally on season 11 of the PBS series Independent Lens. Professor Brown’s The Reaper's Garden: Death and Power in the World of Atlantic Slavery (Harvard, 2008) was co-winner of the 2009 Merle Curti Award and received the 2009 James A. Rawley Prize and the 2008-09 Louis Gottschalk Prize. In addition, he has held fellowships from the National Humanities Center, the McNeil Center for Early American Studies, the Radcliffe Institute for Advanced Study, and the Guggenheim Foundation. What are the virtues and limitations of the digital humanities for the study of Atlantic slavery? How do changes of medium transform approaches to the representation of chronology and space? What constitutes an archive in such work? This seminar will consider that the archive of slavery is more than the records bequeathed to us by the past; the archive also includes the tools we use to explore it, the vision that allows us to see its traces, and the design decisions that communicate our sense of history’s possibilities.